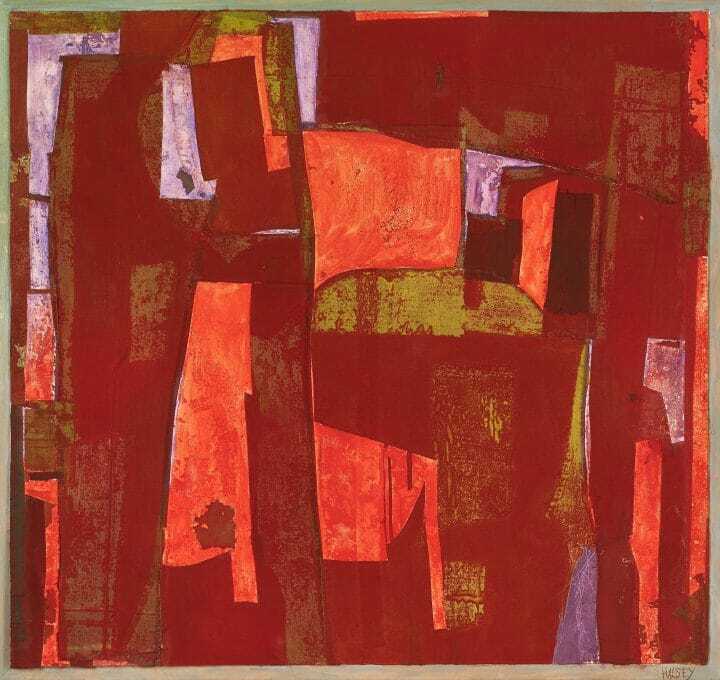 The Halsey Institute of Contemporary Art at the College of Charleston was named in honor of William Halsey, the preeminent and influential Charleston native whose modernist paintings were exhibited at the Museum of Modern Art, the Whitney Museum of American Art, the Art Institute of Chicago, and the Metropolitan Museum of Art, to note a few. 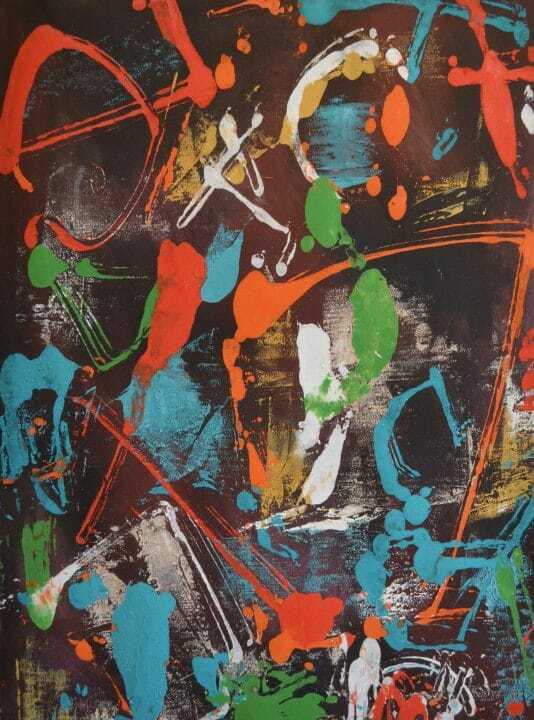 Ann Long Fine Art was proud to be chosen to represent modernist paintings from his estate. 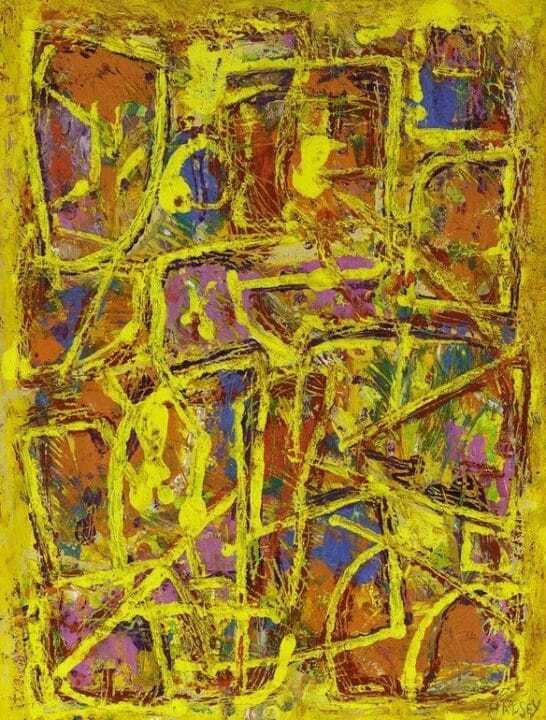 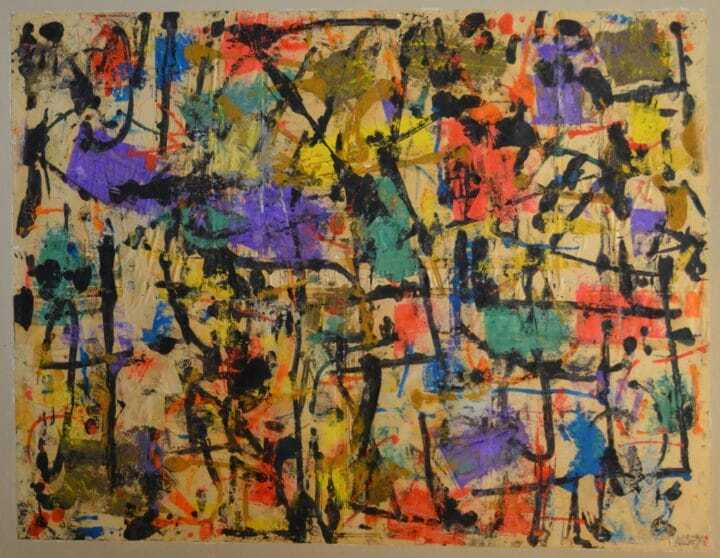 William Halsey broke away from the conventions of most local painters to become a pioneer of modern art in the South. 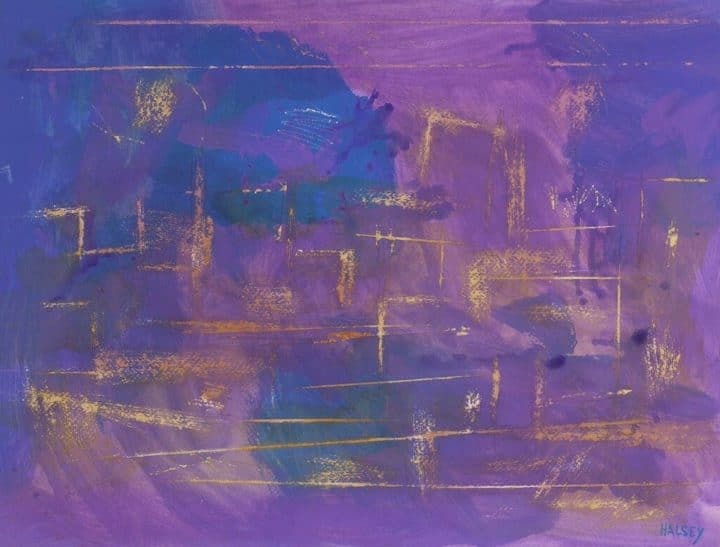 As a boy growing up during the heyday of the Charleston’s early twentieth century artistic renaissance, Halsey’s first art lessons were with one of that movement’s leaders, Elizabeth O’Neill Verner. 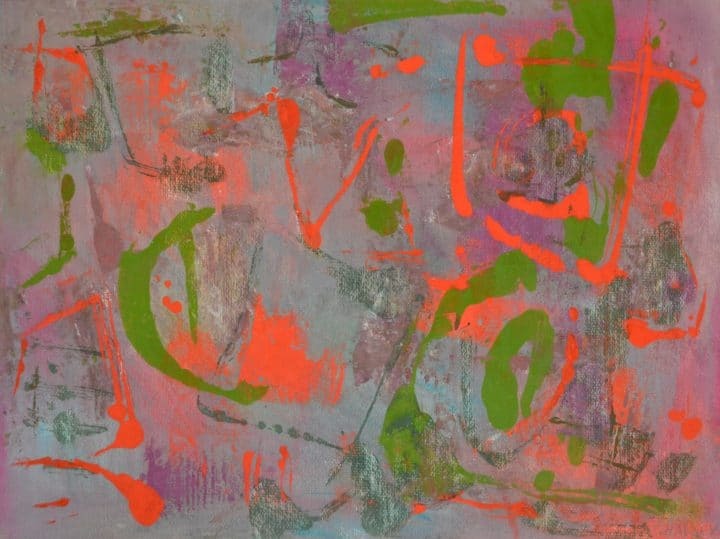 Following two years at the University of South Carolina, Halsey pursued further artistic training at the school of the Museum of Fine Arts, Boston. 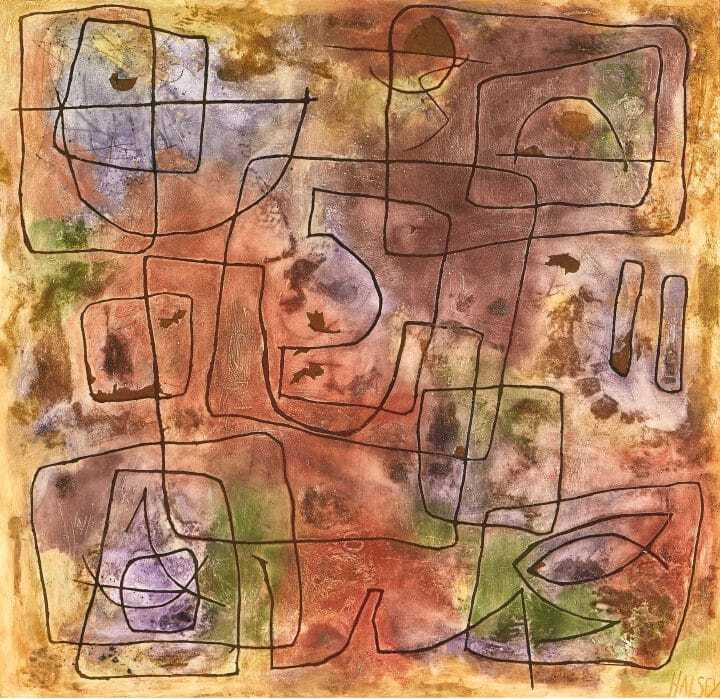 There, he studied traditional line drawing with Alexander Iacovleff and color theory with Karl Zerbe. 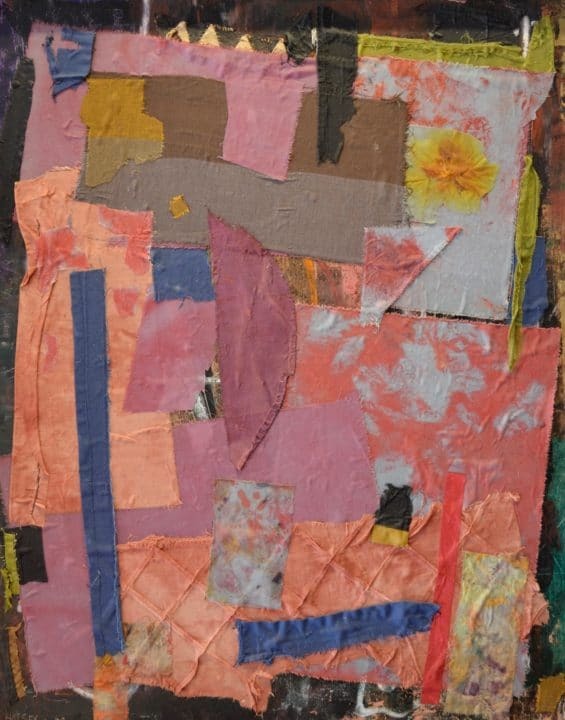 In 1939, Halsey was awarded the institution’s highest honor, the James William Paige Fellowship, for study abroad. 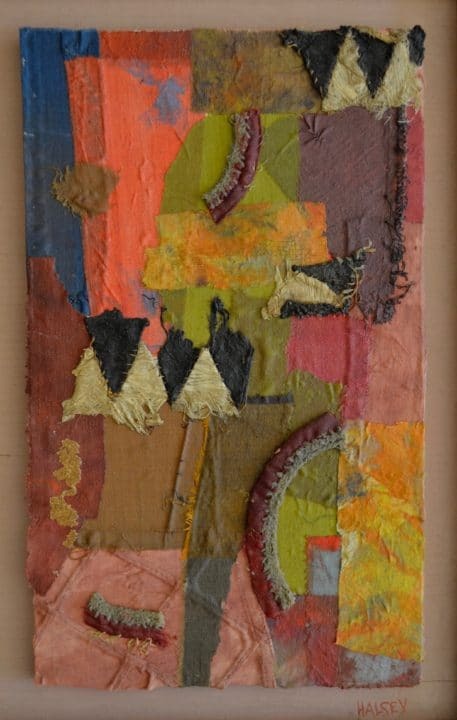 Originally scheduled to travel to Europe with his new wife, fellow artist Corrie McCallum, the onset of World War II necessitated a change of plans. 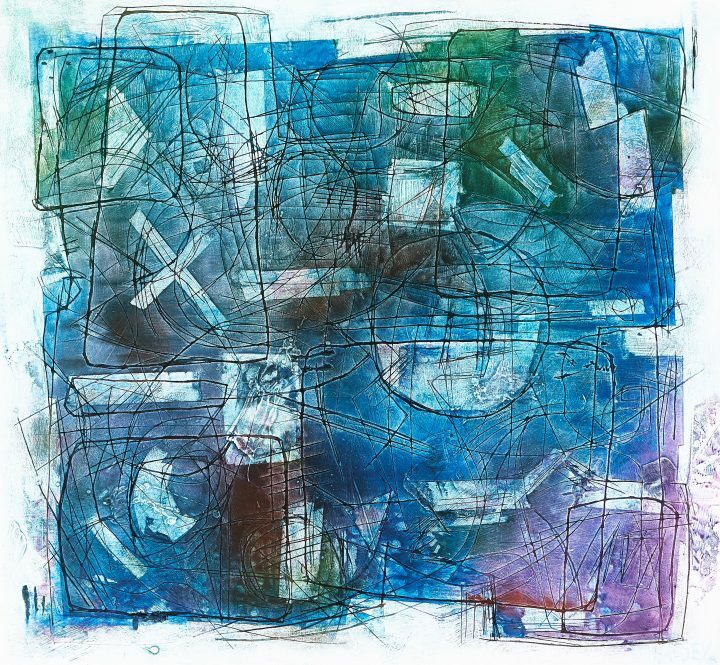 The couple set sail for Mexico instead, an experience that ignited a lifelong passion for travel. 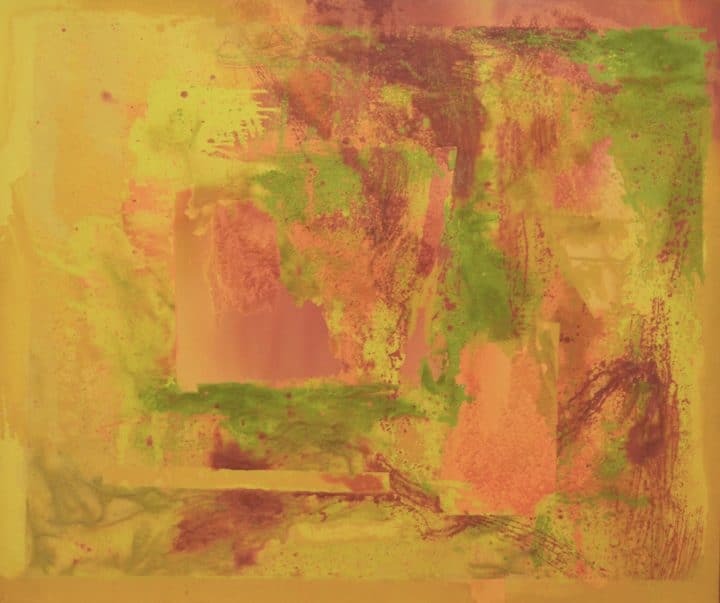 In Mexico City, Halsey absorbed the culture, color, and texture of the country. 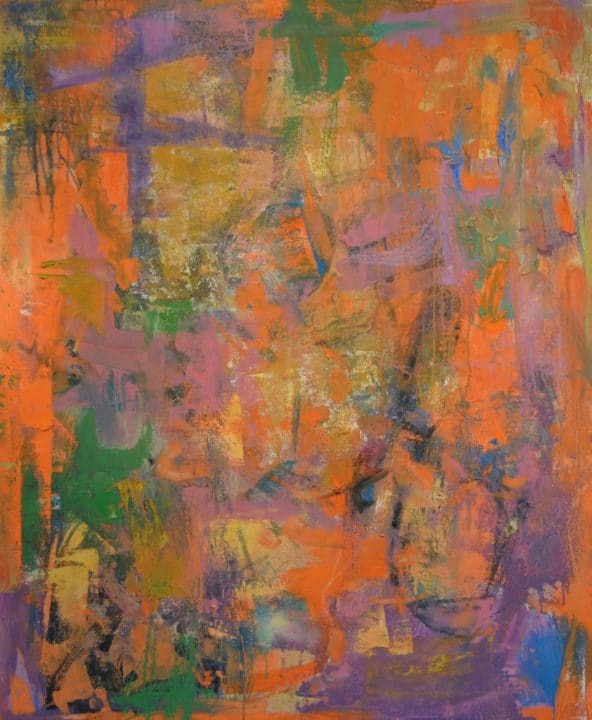 Halsey returned to the American South in 1941 and settled permanently in Charleston in 1945, convinced he “could be vastly more useful in [his] native state than any place else.” He touched countless students as a teacher at the Gibbes Art Gallery, the Charleston School of Art, and as the founder of the Studio Art Department at the College of Charleston. 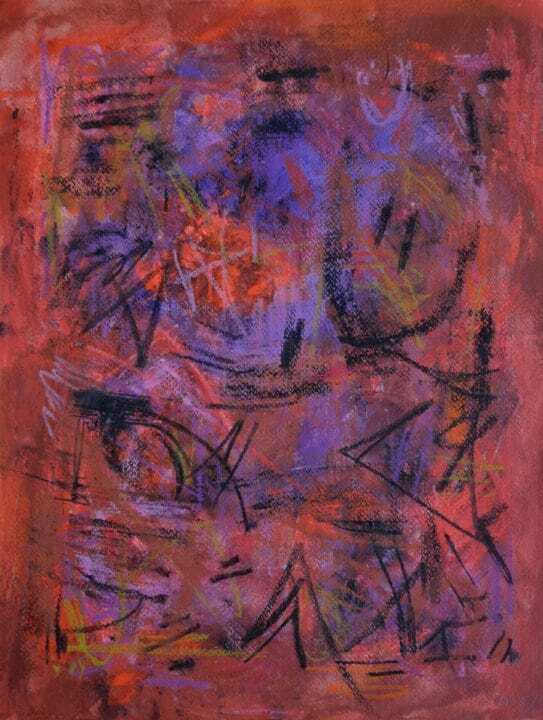 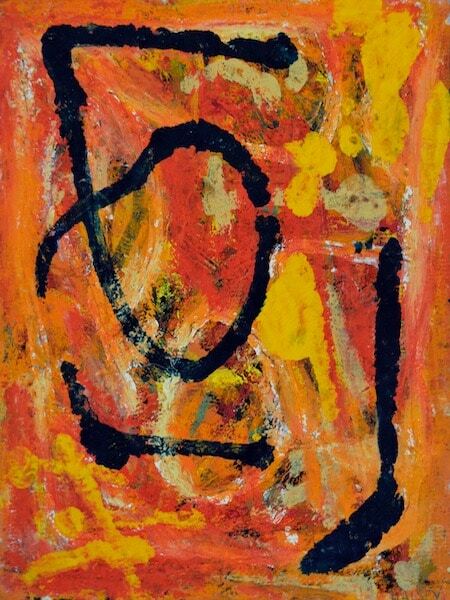 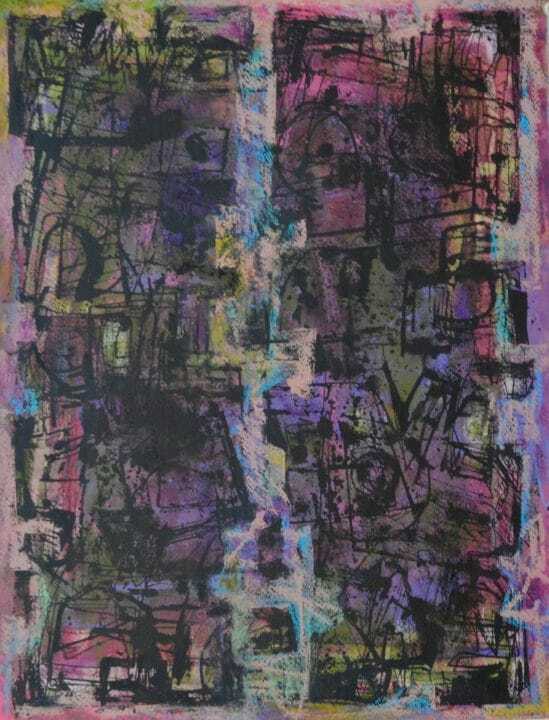 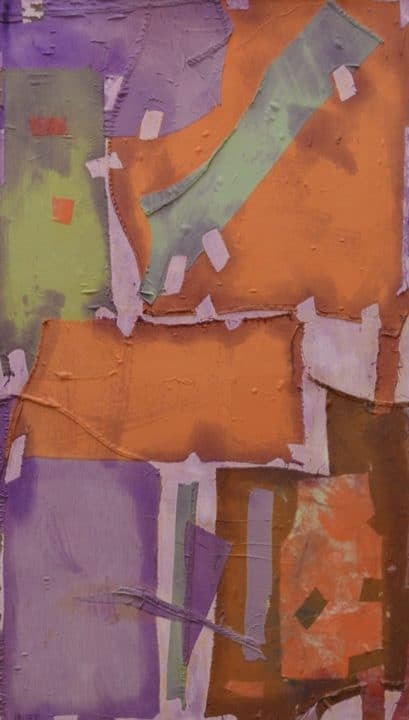 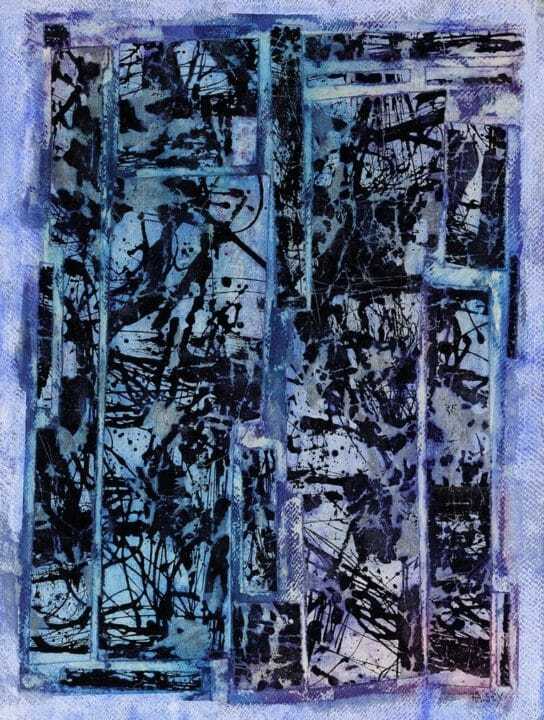 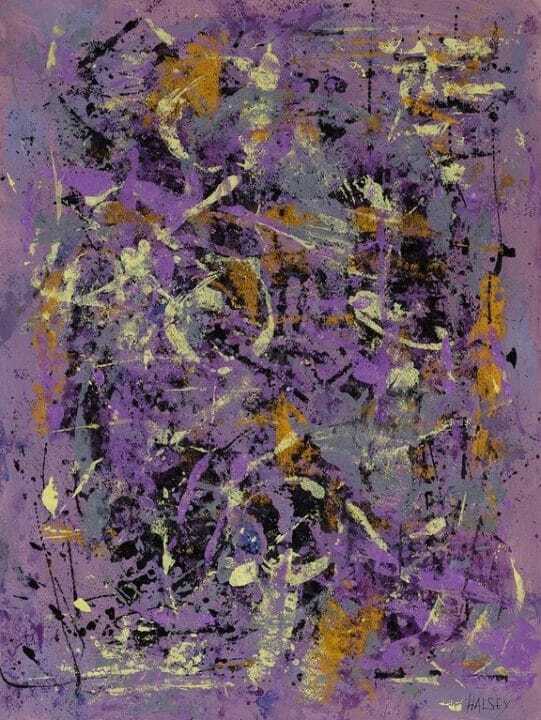 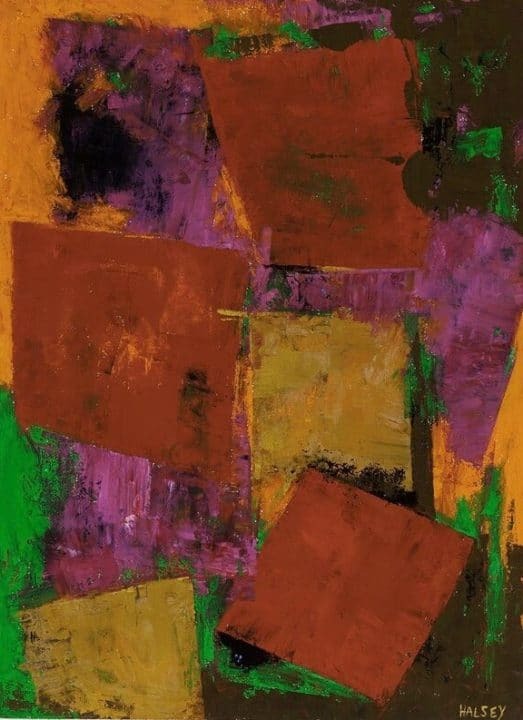 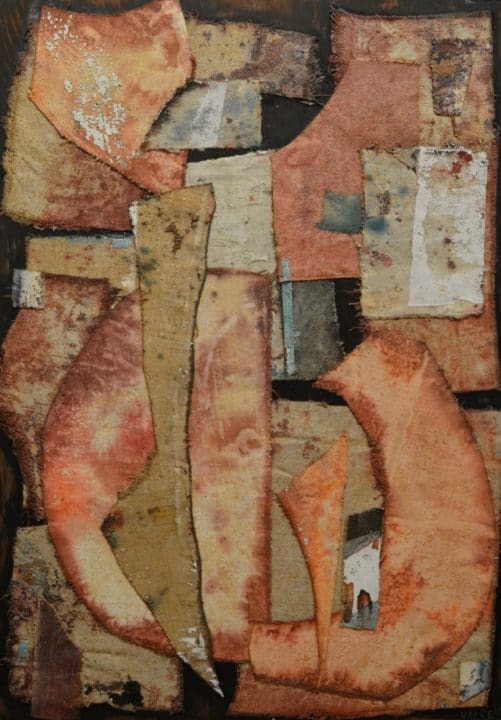 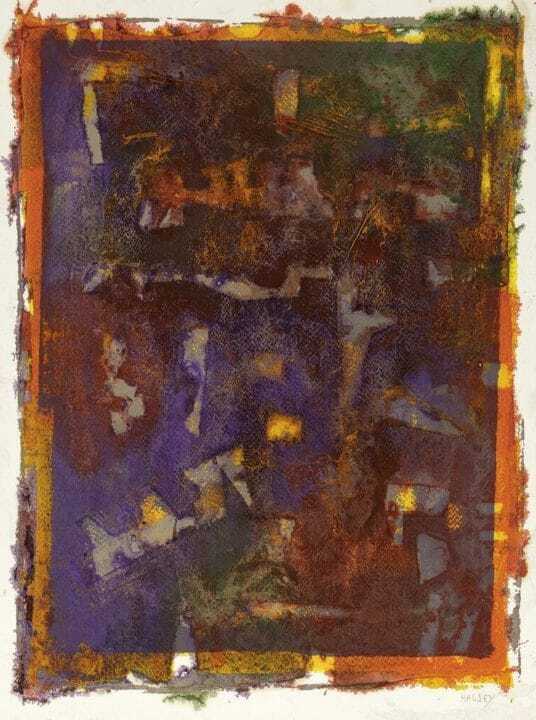 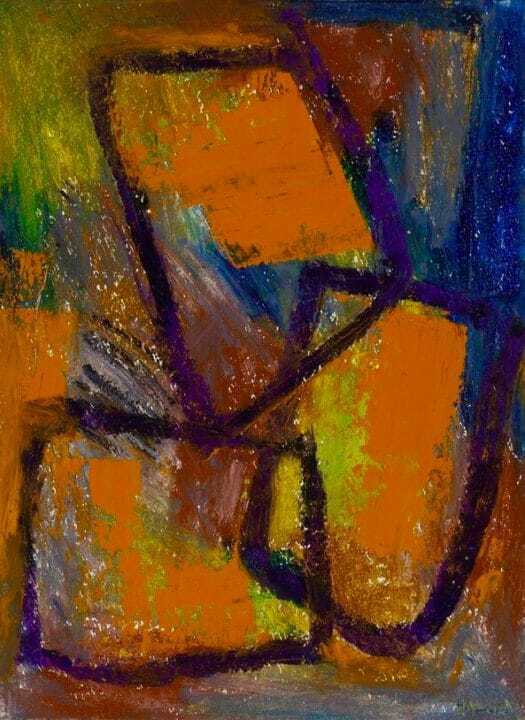 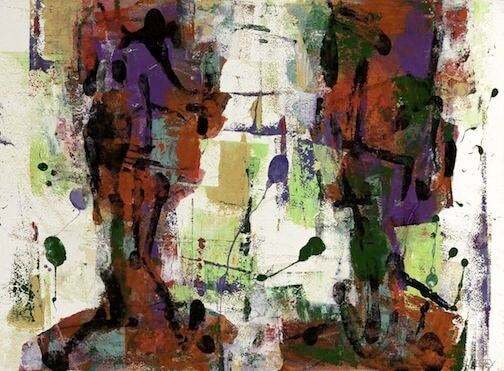 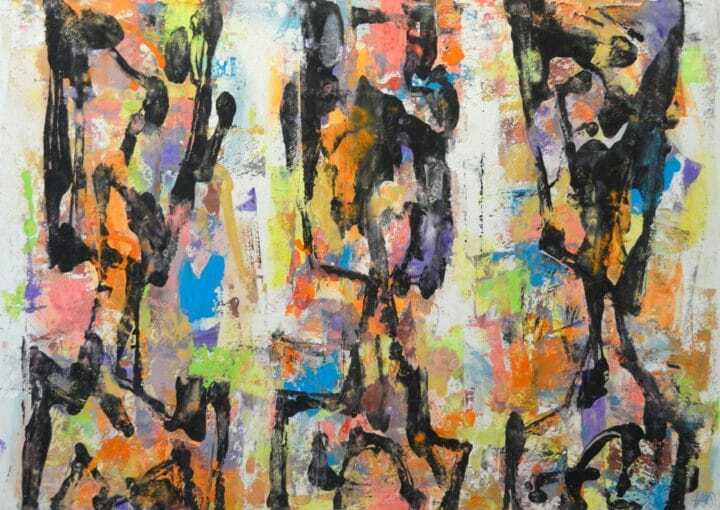 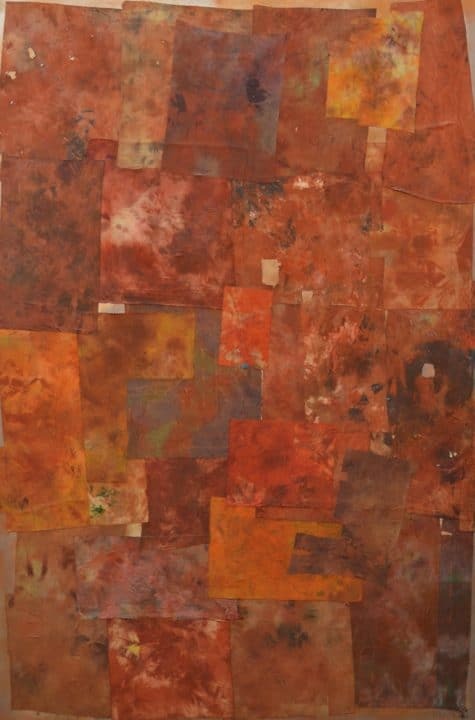 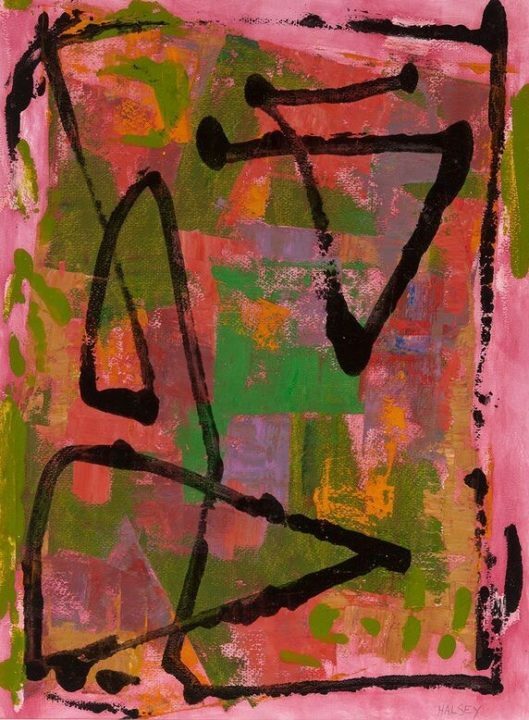 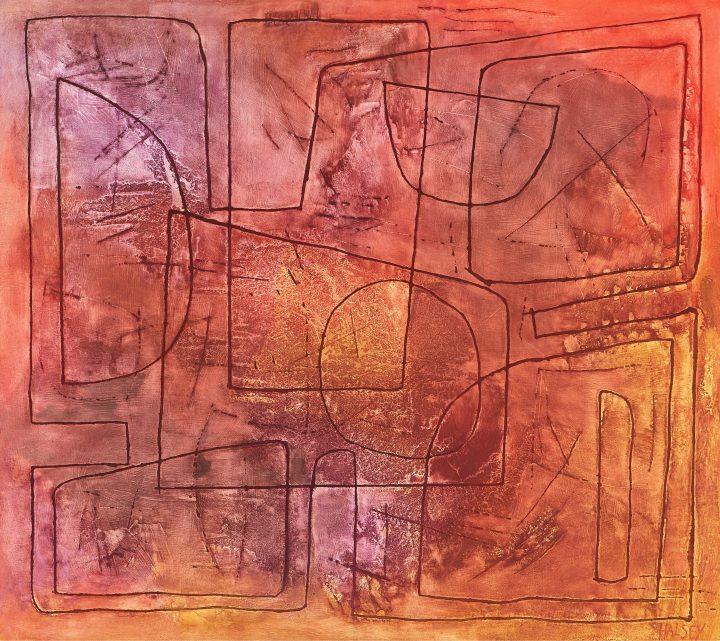 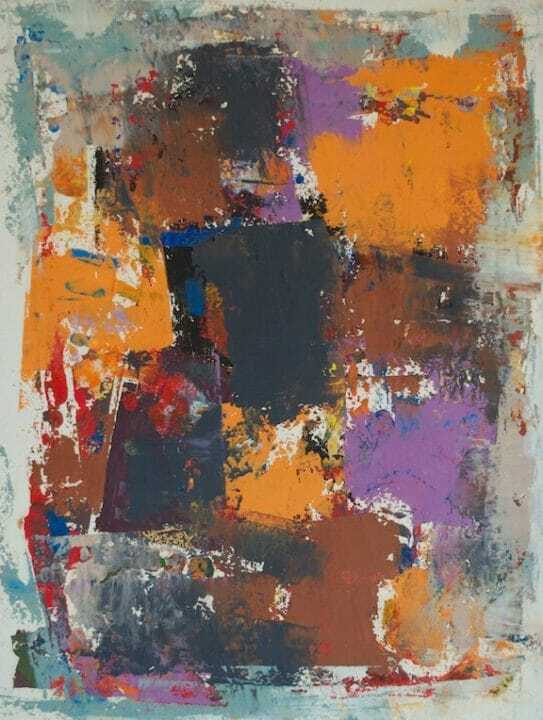 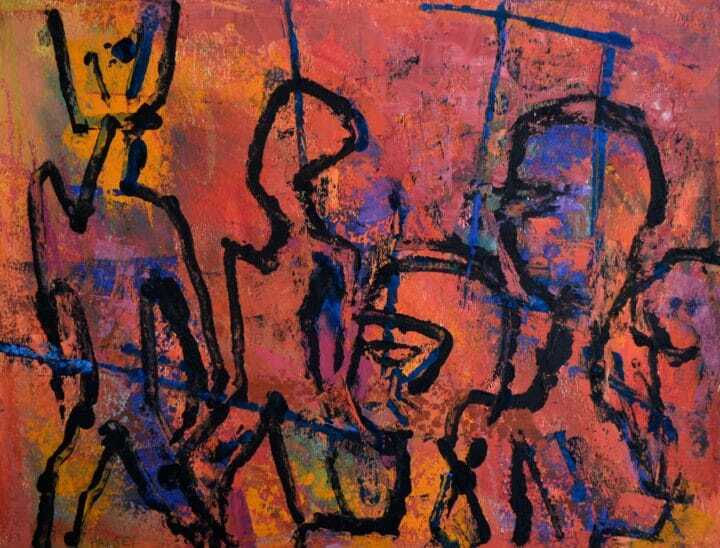 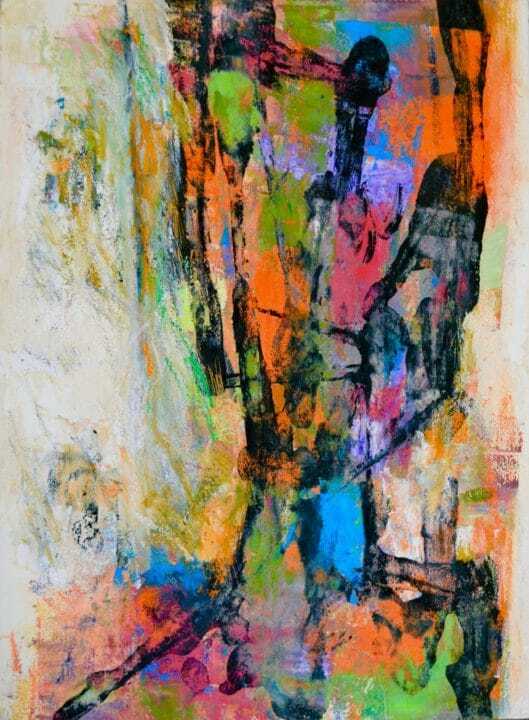 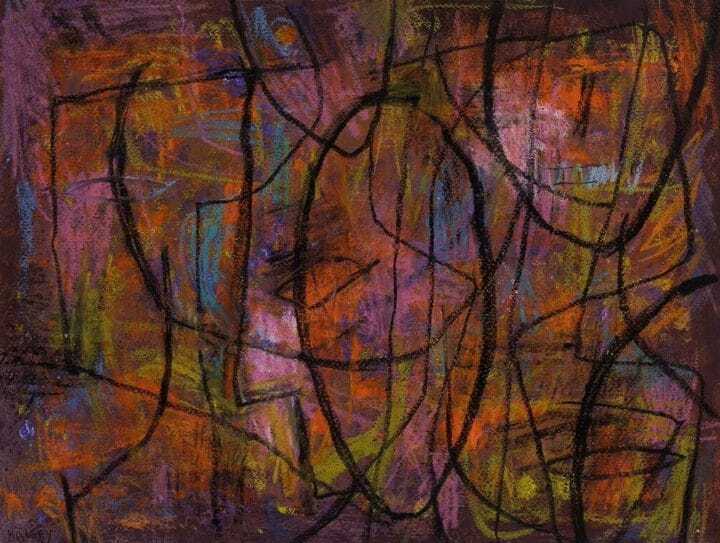 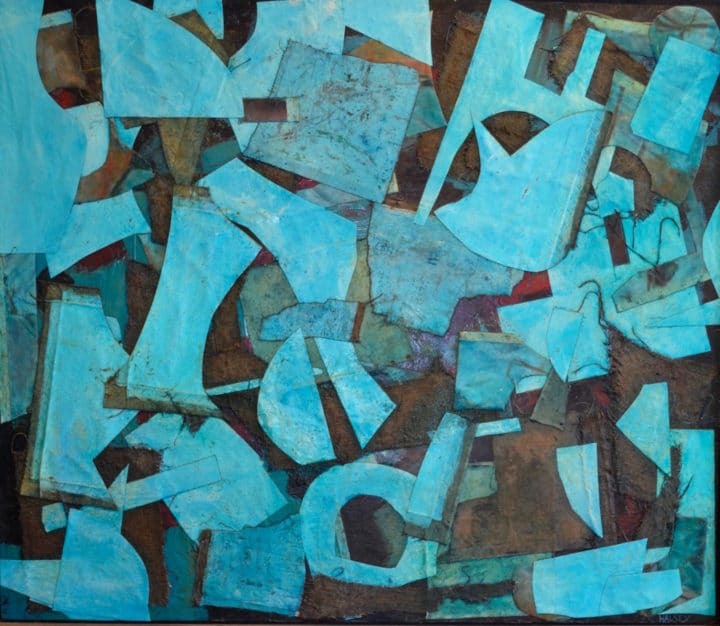 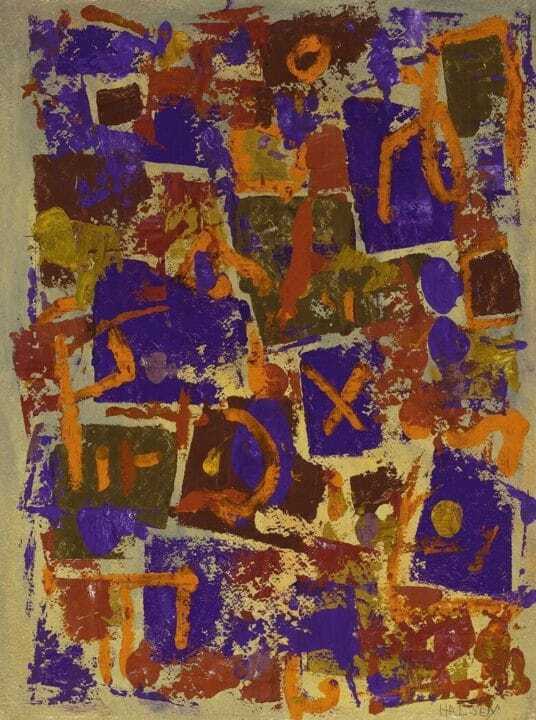 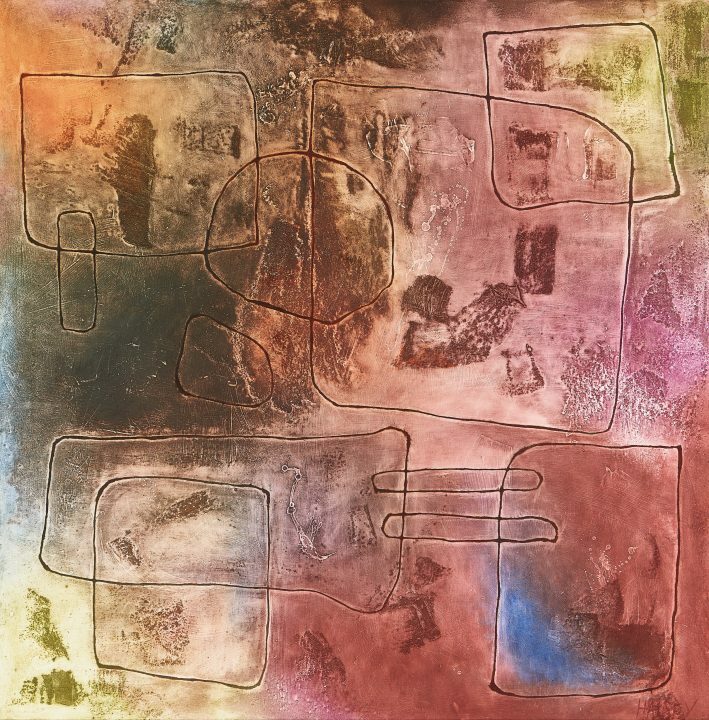 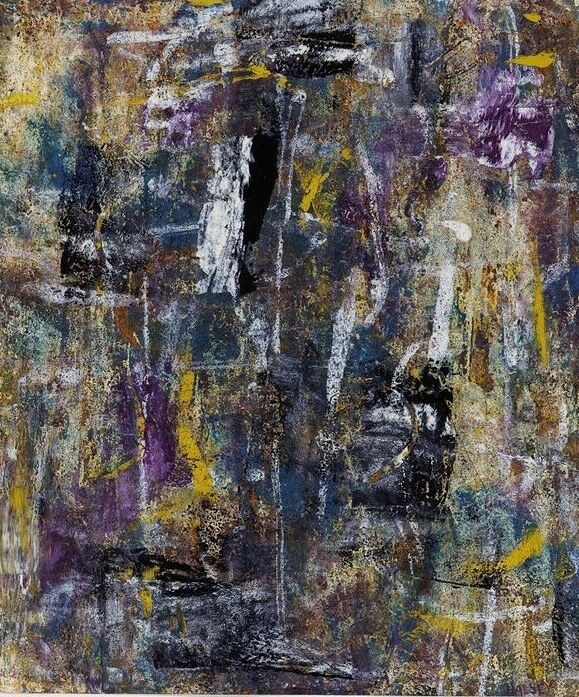 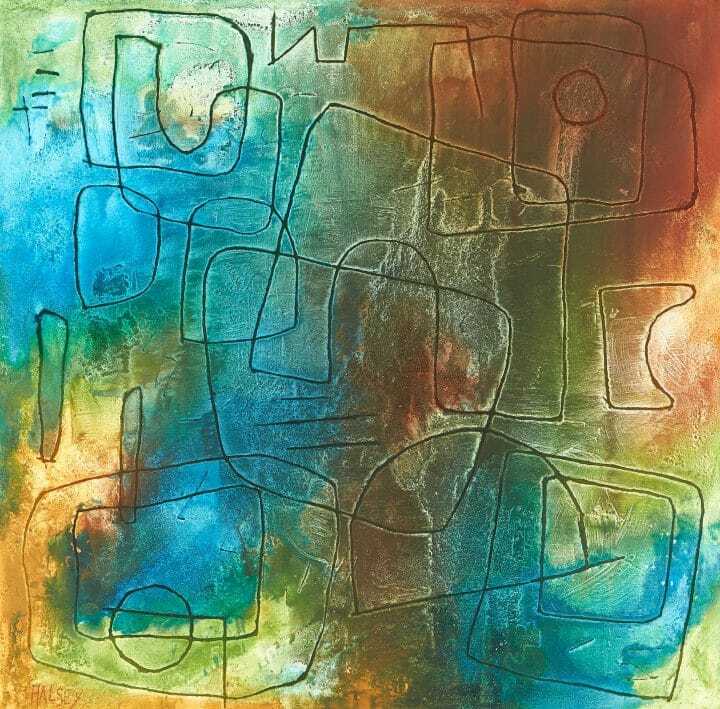 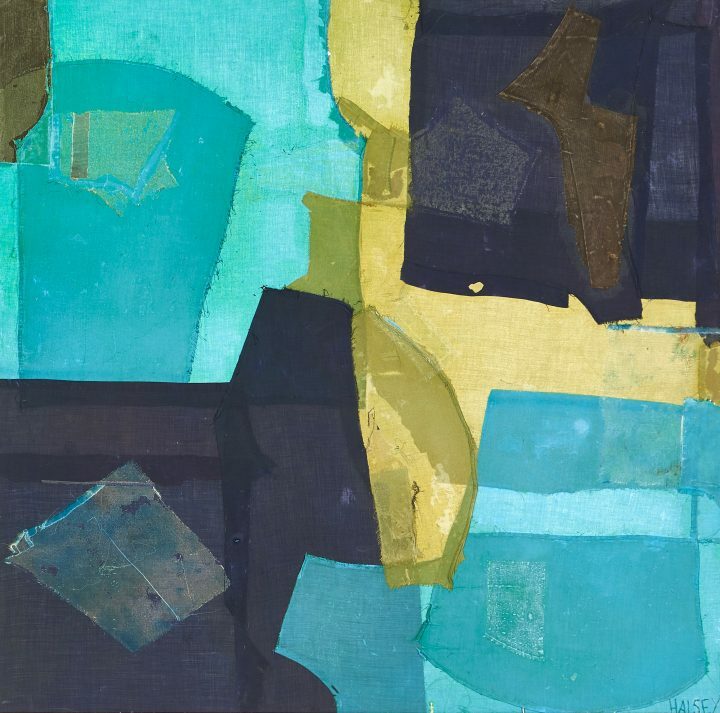 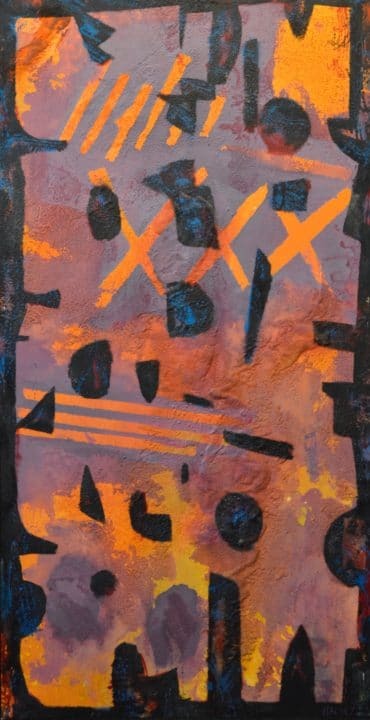 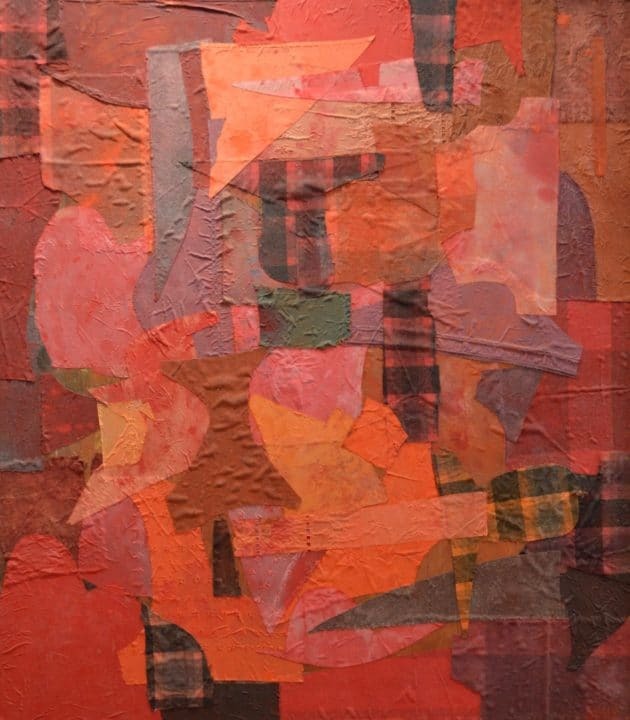 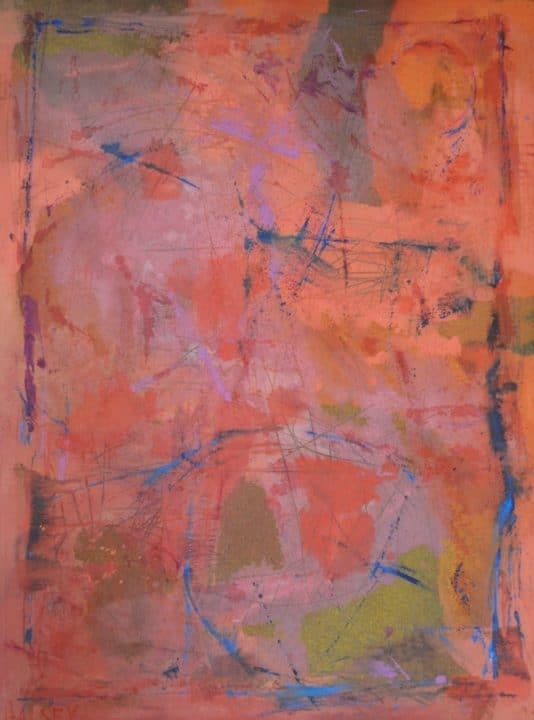 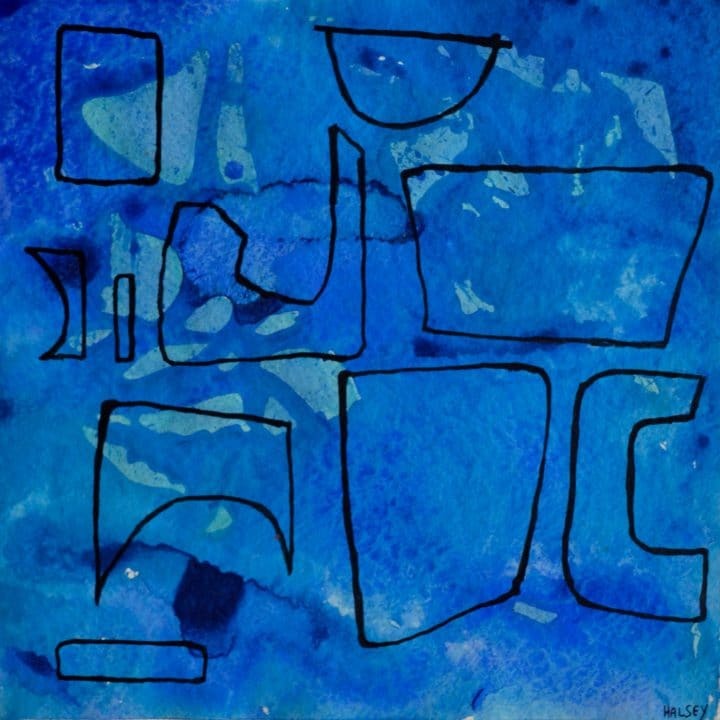 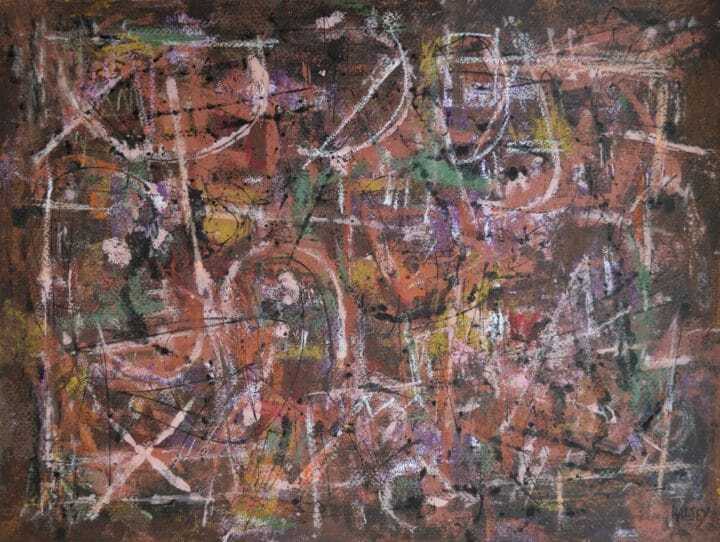 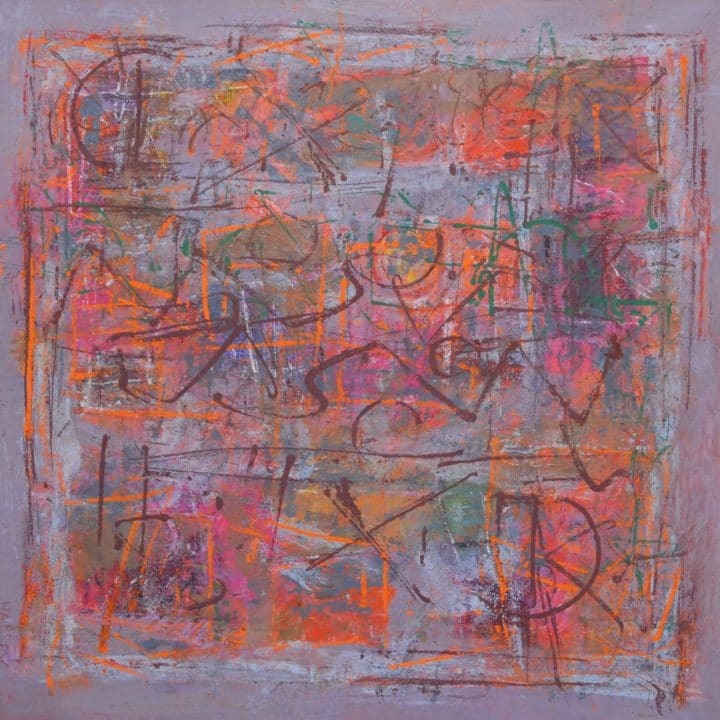 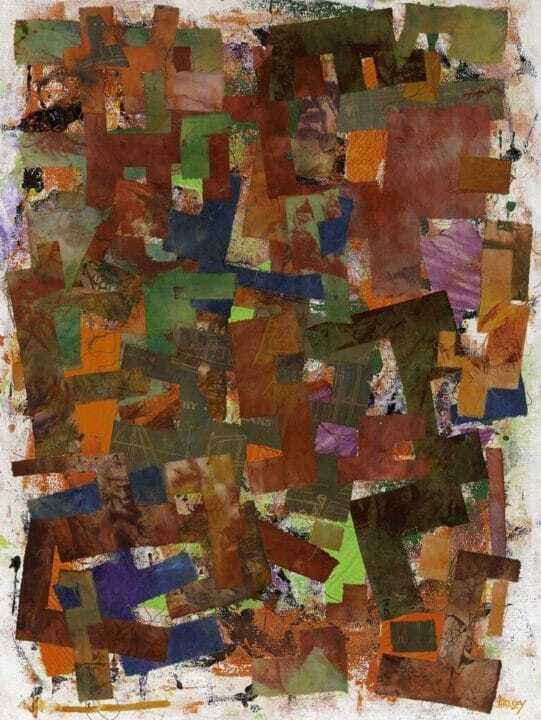 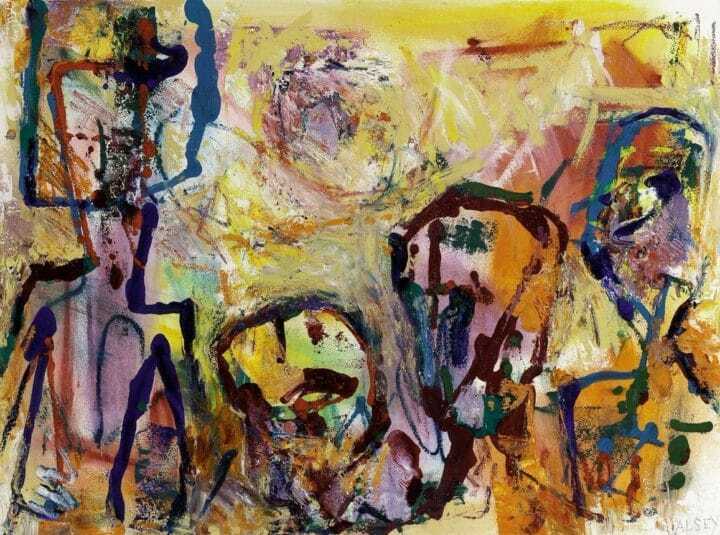 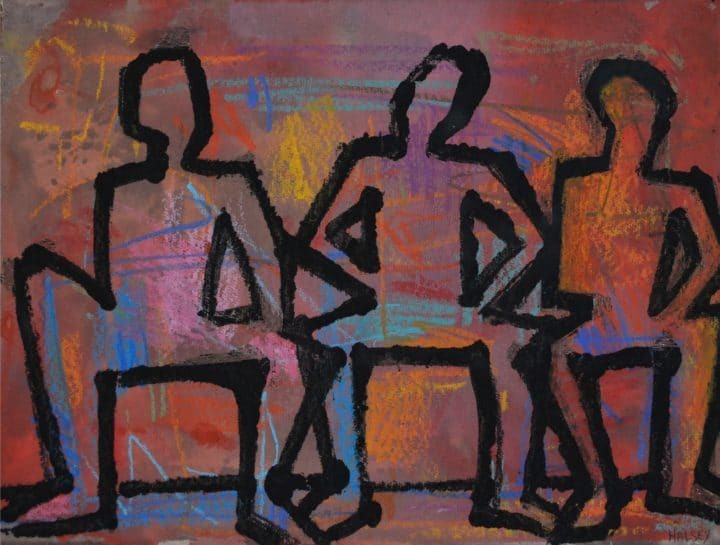 During his more than forty years as an influential educator and mentor, he was also represented by the Bertha Schaefer Gallery in New York City and exhibited his increasingly Abstract Expressionist paintings, collages, and sculpture throughout the country. 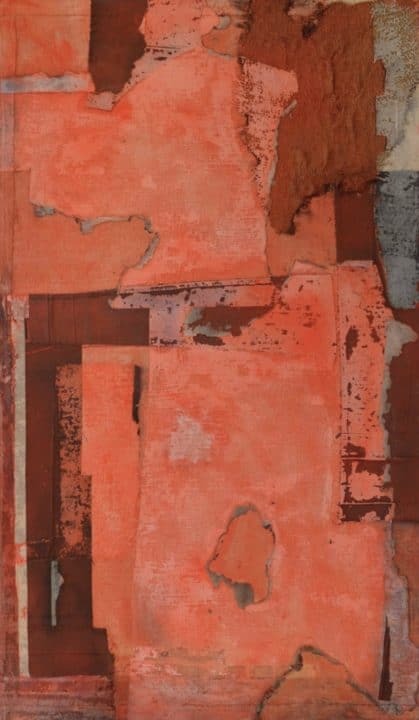 Although Halsey departed from “the prevailing influence of the Old Charleston picturesque,” he credited his hometown as a source of inspiration: the decaying stucco buildings literally showed up in his work. 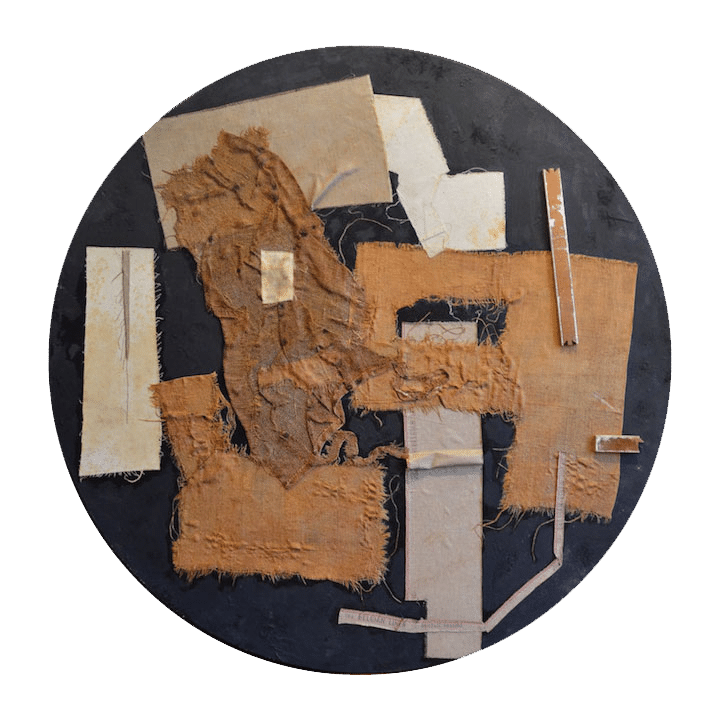 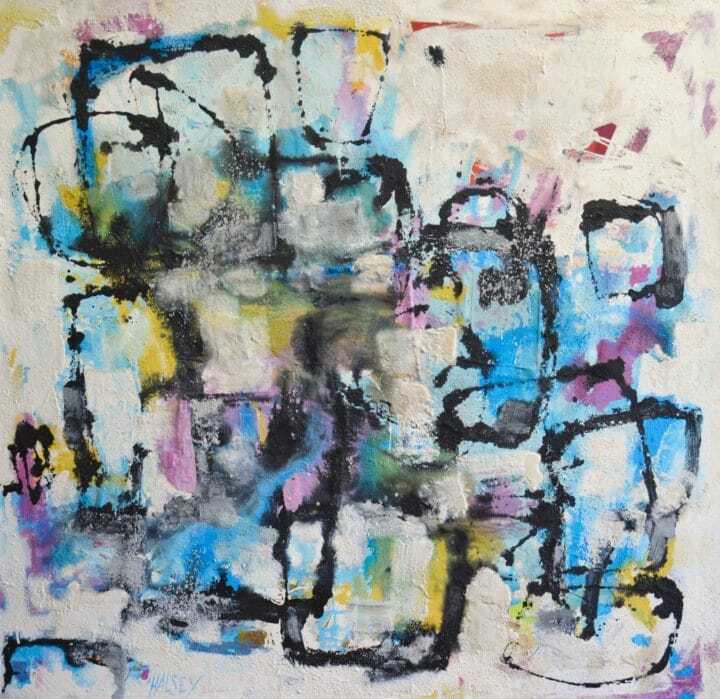 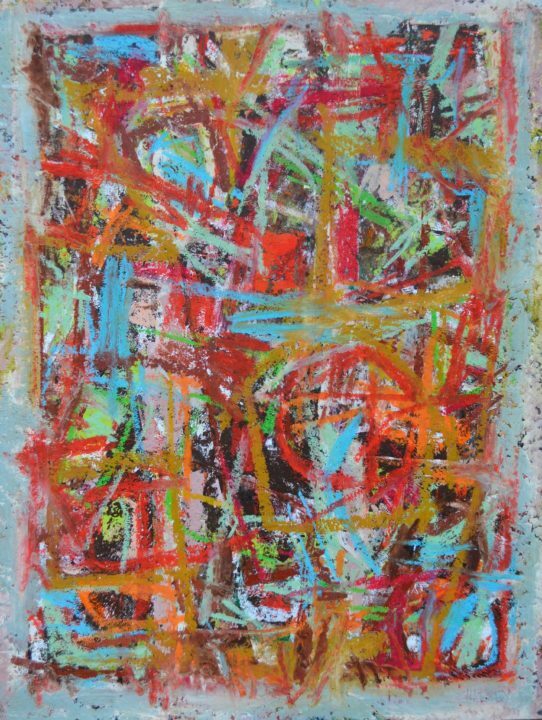 He painted “furiously” on canvases built up with gesso, sand, marble dust, found objects, and fabric. 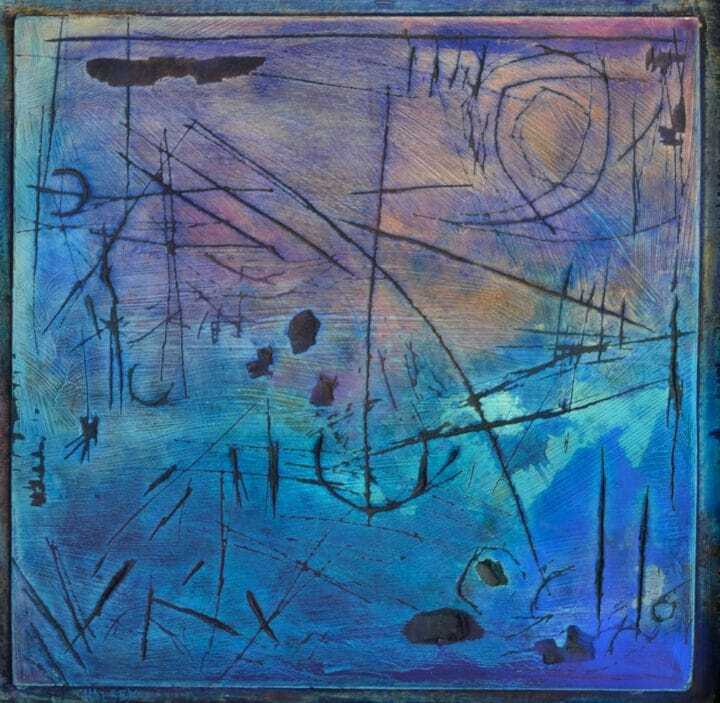 Though he prized color above all else, he also appreciated the physical act of painting and often laid a picture flat on the ground in order to free his movements. 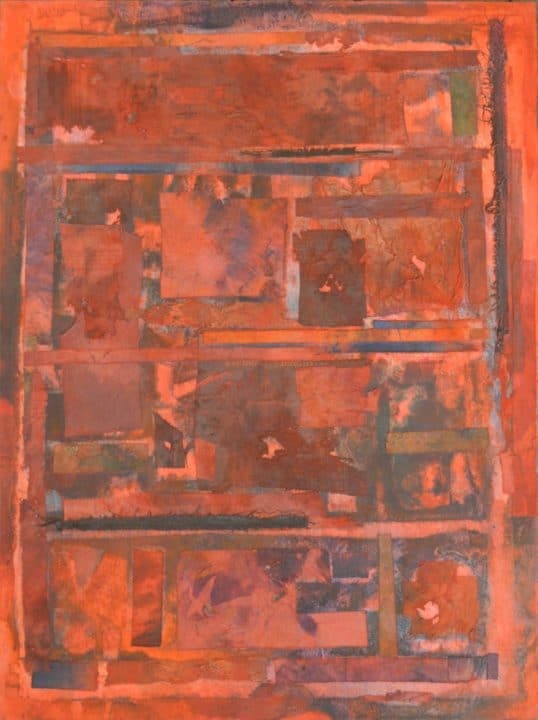 54.5" x 54.5" x 1.5"